This is my absolute favorite summer salad. It reminds me of my grandmother who always made extra corn on the cob so she could use it in salads the next day! Cut the corn off of the cob. Heat 1 tsp. of the olive oil in a sauté pan over medium-high heat. Add the corn and cook, stirring frequently, until the corn is golden brown. 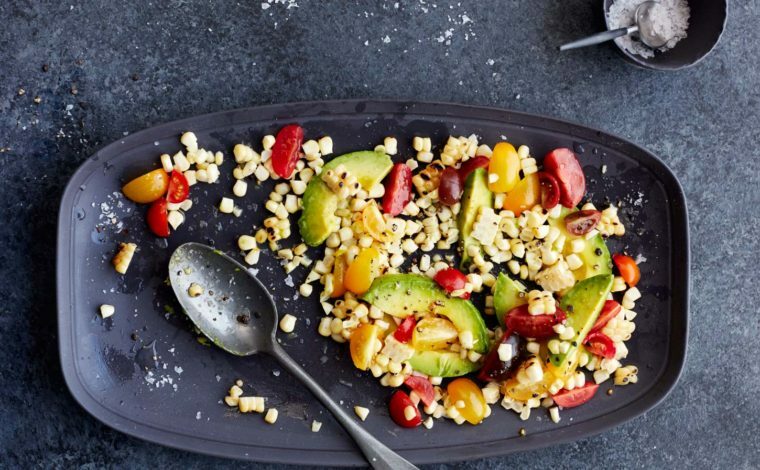 Stir corn, avocado, and tomatoes together. Drizzle with the remaining olive oil, lime juice, and salt and pepper to taste.